Chris Rogers, Panjiva Research Director, recently took time to answer questions for RetailSupplyChainInsights.com about supply chain-related challenges retailers are facing and how to overcome them, what the future of the supply chain looks like, and more. 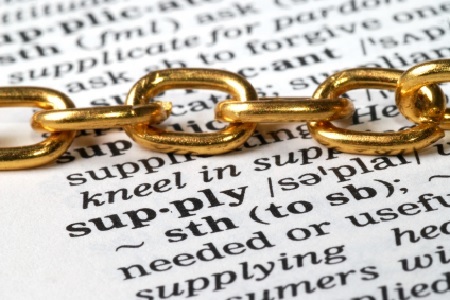 Q: What’s the top supply chain-challenge retailers’ face today? Rogers: Bottlenecks that occur with the need to be faster. Technologies ranging from online ordering, IoT, machine learning, and more can allow retailers to detect what they need to sell more quickly. Yet, the methods of delivery — airfreight and multi-modal containerization — are the same as they were 20 years ago. There are some limited applications of 3D printing and new robotic systems such as that implemented by Nike, but it still takes days or weeks to fill inventories. Scale matters more than ever. Amazon has the ability to implement its own supply chain and delivery systems, but most other retailers are facing ongoing consolidation in the shipping and forwarder sectors. That limits choice, requires fitting into alliances' shipping routes and may in due course lead to higher costs. Lean forward on technology, but not too far. Implementation of new technologies referred to already can bring efficiency benefits, but involve upfront cost and risks. A comparison from the utility industry: the major Italian utility, Enel, implemented smart meters before anyone else, but rapidly found it had a costly-to-maintain platform and was quickly overtaken by improved technologies. It's now having to replace its entire system to keep up. Q: What improvements can retailers can make to their supply chain and how can they ensure those improvements are sustainable? Rogers: More data! There's a huge opportunity available in the supply chain's data exhaust from the factory workbench through the point of sale. Gathering this and effectively recognizing patterns in it isn't optional anymore — Amazon has gotten to the point where it is via a mixture of thinking technology first and accepting razor-thin margins. However, fire-and-forget system development isn't sustainable — a continual process of technological renewal is needed. I'm amazed financial analysts don't track retailers' technology R&D budgets. Also, take a whole-of-firm approach. Extending on the previous point: It's no good developing separate systems for factory, warehouse, logistics, storefront, website, etc. They need to be able to transfer data between the different systems. That doesn't mean a factory worker can see a customer's purchases, but rather that the C-suite can easily draw conclusions from the broad corpus of data. Sticking it together in a spreadsheet isn't the right answer. Thought needs to go into using consistent entities and data models, and these should be continually reviewed to be sustainable. Efficiency isn't a certainty, either. So, you signed a five year deal with a carrier to handle all your trans-Pacific shipment needs and got a really good rate. Well done. Unless it was Hanjin Shipping of course. You've got a highly efficient hub-and-spoke system that allows you to centralize all your incoming goods close to the port. Well done. Unless it was in Houston in late August of course. The supply chain needs to be resilient to interruption — that requires a mixture of decentralization, situational awareness, and — of course — great quality data visibility. Q: What specific technologies present further opportunities for professionals within the supply chain sector? Rogers: The answer here changes continually — arguably the most important technology is a technology-curious brain. Every retailer's needs are different; use your domain expertise combined with wide-reading of the tech press. Right now improved risk management systems are probably more important than ever. In particular, the ability to map your supply chain not just at the first tier (i.e. your suppliers or customers) but several tiers deep (their suppliers / customers and so on). Beware of super-early technologies for one part of the business when others are lagging — e.g. a blockchain-based shipping system when your shop-floor still requires manual counts of stocktaking. Q: How important is it retailers collaborate with manufacturers and other trading partners to enhance supply chain success? Rogers: Vitally, of course. More of a challenge is to find a way to communicate on a standardized and scalable way — common data standards and data models are important here. With all that said, successful business cannot forget the importance of human relations and the value of meeting in person. Technology is a facilitator of, not replacement for, people.